We offer finely crafted Carbide Trimmer for dental labs that is specifically designed to carry out different dental tasks. Our Carbide Trimmer features crossations with Japanese technology. 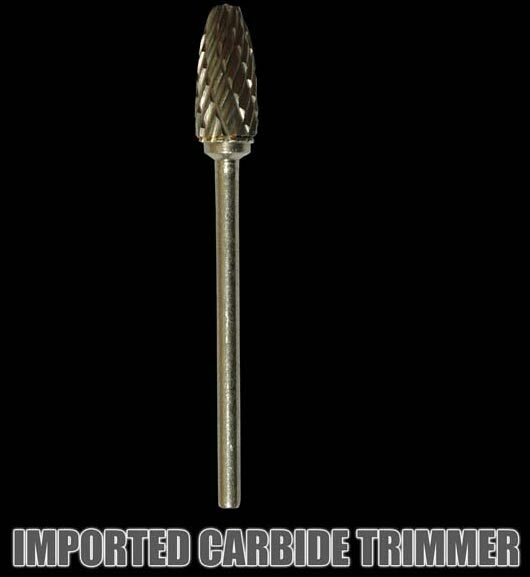 Made from medical grade materials, this Carbide Trimmer offers long service life with zero effect on cutting ability. This Carbide Trimmer is sterilized so as to provide ample protection to the patients.